Murray Lampert Design, Build, Remodel in San Diego County California, has been awarded a 2015 Guildmaster Award for exceptional customer service. GuildQuality, an independent customer satisfaction surveying company, has powered the Guildmaster Award since 2005 to celebrate service excellence in the building, remodeling, contracting, and home services professions. Murray Lampert was selected as one of the over 300 North American builders, remodelers, developers, and contractors recognized by GuildQuality for their superior delivery of customer care. Over the past few months, GuildQuality reviewed numerous survey responses submitted by customers of Guildmaster candidates. In granting awards, GuildQuality considers two primary metrics for each candidate: the percentage of customers who would recommend and the percentage of customers who responded. Murray Lampert achieved a recommendation rate of greater than 90% from their customers, who were surveyed through GuildQuality. “We’re proud to be recognized for the attention to detail with each of our projects, and the commitment to satisfaction and service for our valued customers ” Gregg Cantor. 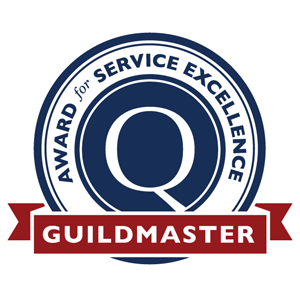 For more on the 2015 Guildmaster Award and qualifications, visit the Guild Quality website. To see more of our customer ratings, please visit our Reviews page.